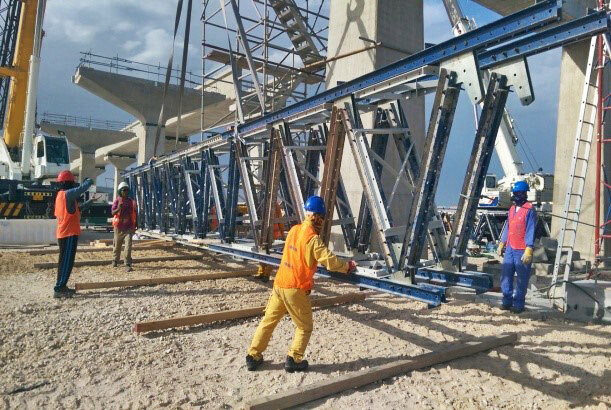 Is Design and Construction of ELEVATED VIADUCT of 5.8km, at grade line of 0.4km, underpass structure of 1km (only construction), depot grading works and 3ea stations (2ea elevated stations and 1ea elevated/at grade station – Barwa). 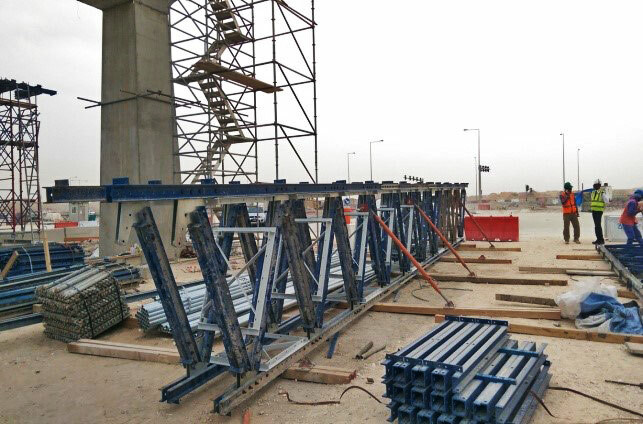 It has lots of interfaces with many major projects in the vicinity and will be constructed along the busy streets of Doha and Al Wakra. 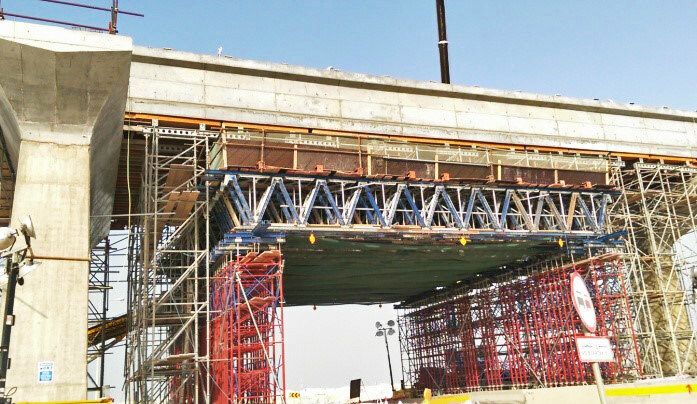 Is Design of 2 Lanes gantry system, to avoid obstructING the traffic, while the metro elevated bridge will be casted. 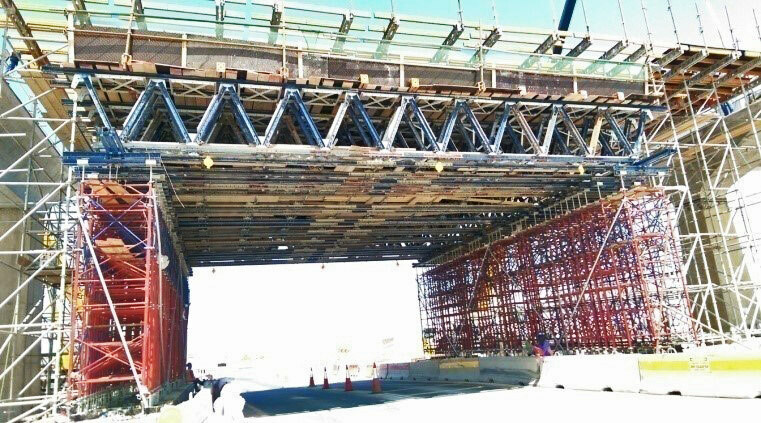 acrow challenge was to design a unique system to carry the exisitng load of the concrete as well as the formwork self weight, using acrow truss gantry system.